Answer: What you heard about is the annual Perseid meteor shower. This year the peak of activity will be from midnight, August 12th to dawn, August 13th. 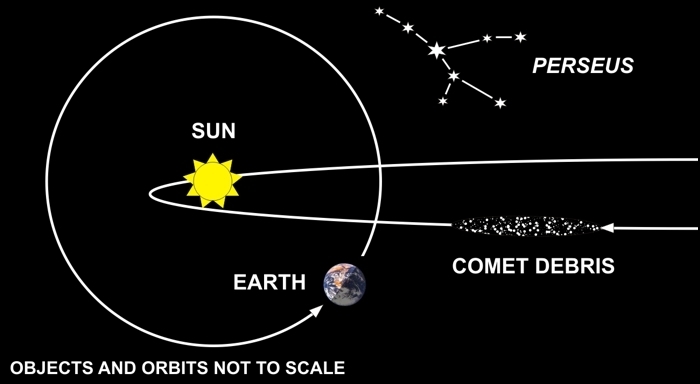 The Moon will be up, interfering somewhat with your view, but you should still be able to see the brighter meteors. Watch for most of the action in the northeast. So get out your lawn chair, and find a dark location with a clear view of the whole sky. Then settle in for the night, and prepare for one of Nature’s greatest fireworks displays. Next Next post: Q&A: Lightning Hazard!